Jaguar has announced it will be introducing a new support race series to the FIA Formula E Championship from season five (2018-19), where it also has its own works team. 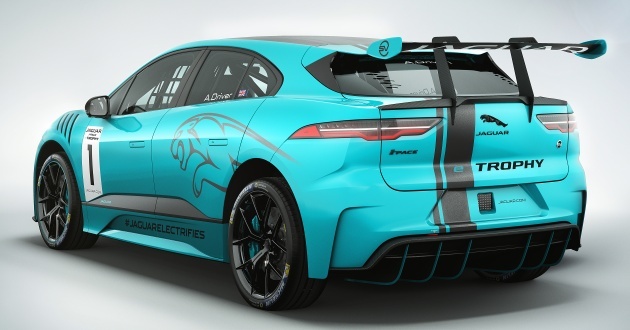 Called the I-Pace eTrophy, the all-electric series will feature 20 I-Pace race cars prepared by Jaguar Land Rover Special Vehicle Operations (SVO). As you can tell, these cars mean business, with a lowered ride height, plenty of aerodynamic kit (front splitter, rear diffuser and rear wing) as well as some stickier tyres. Remove all those items, and you should get some idea of what the road-going version will look like. The I-Pace will be Jaguar’s first battery electric vehicle, and was previewed by the I-Pace concept from 2016. Featuring two electric motors (one for each axle), the SUV offered a total system output of 400 PS and 700 Nm. The concept was also quoted to provide up to 500 km of range, and will do the 0-96 km/h (0-60 mph) sprint in around four seconds. 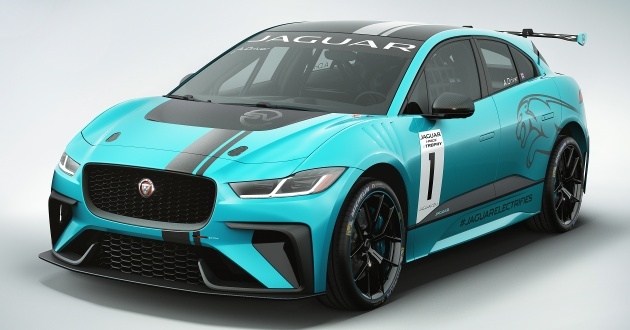 For now, Jaguar has yet to release the exact technical specifications of its race car, which should be uprated from the regular production version. We’ll have to wait until 2018 for that information, along with the race calendar and costs. Interested parties should note the 20 race cars are available on an arrive-and-drive basis, with one being reserved for a VIP driver at every venue. A typical race weekend will include free practice and qualifying sessions followed by a 30-minute race.